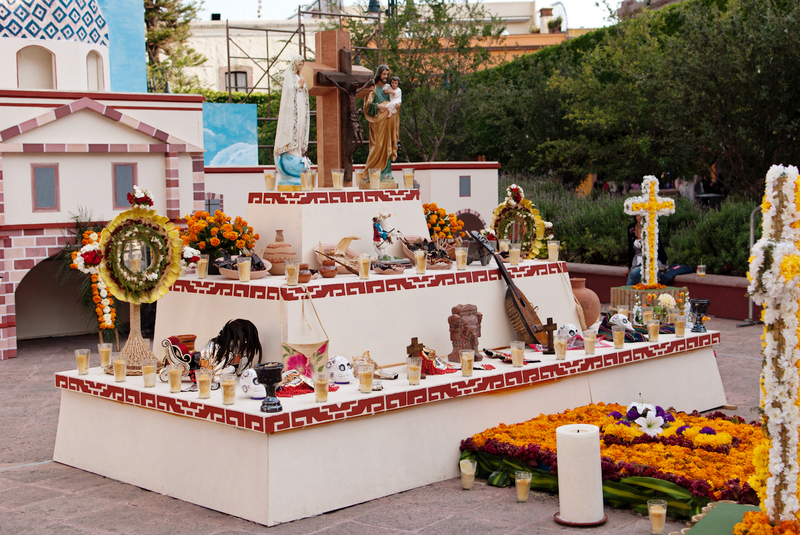 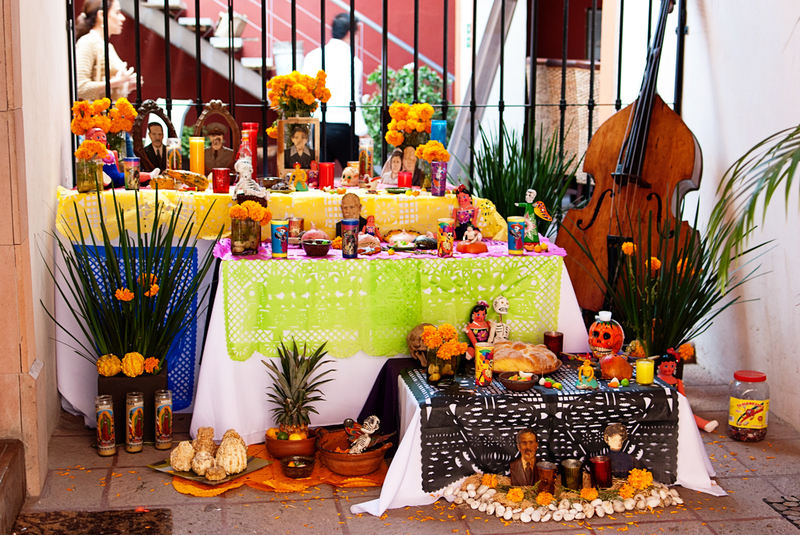 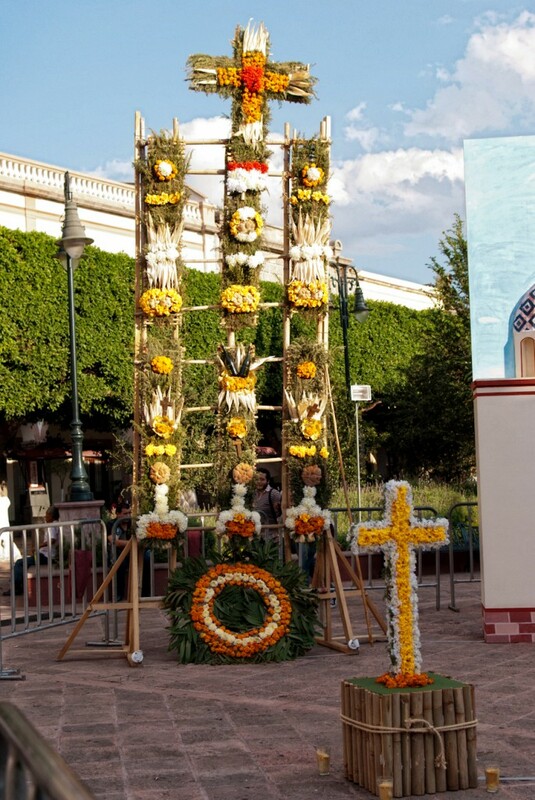 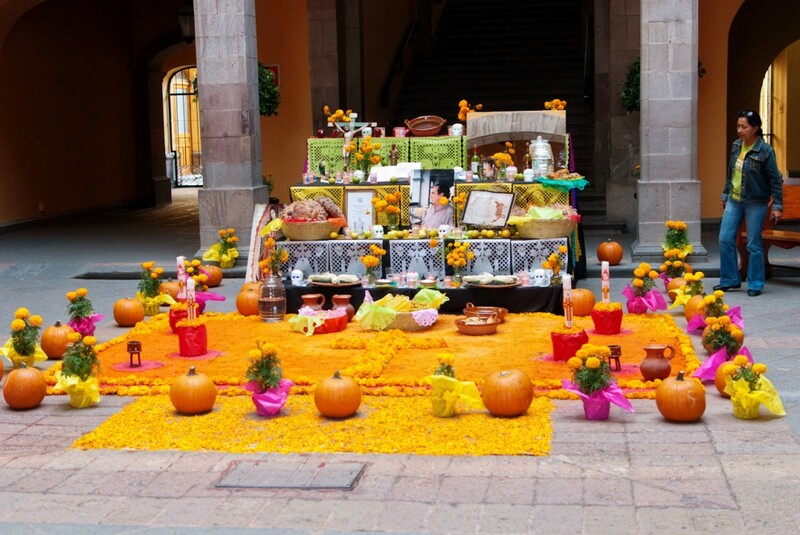 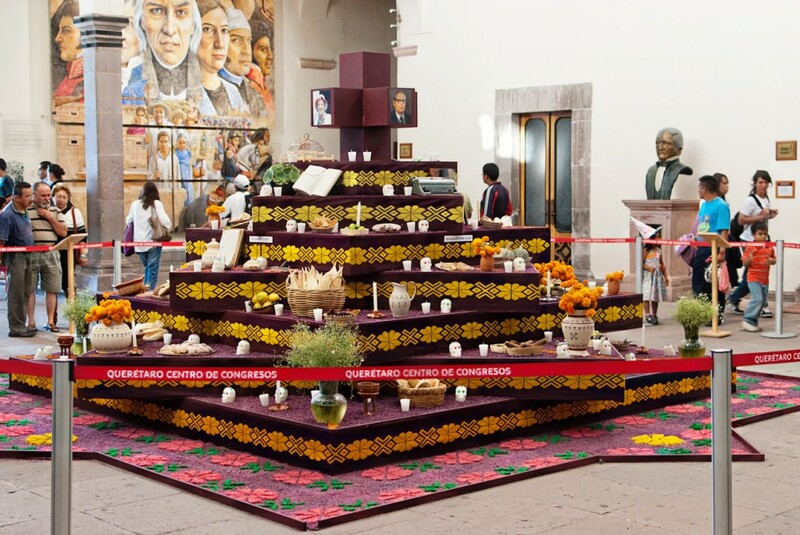 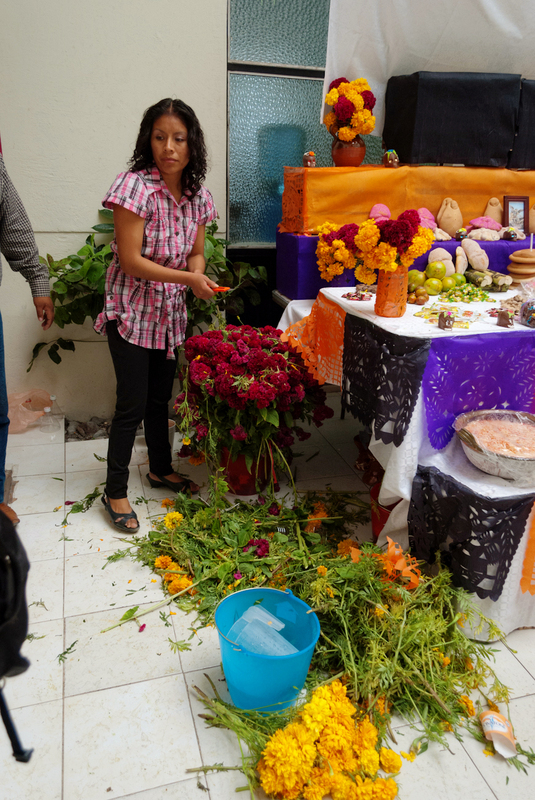 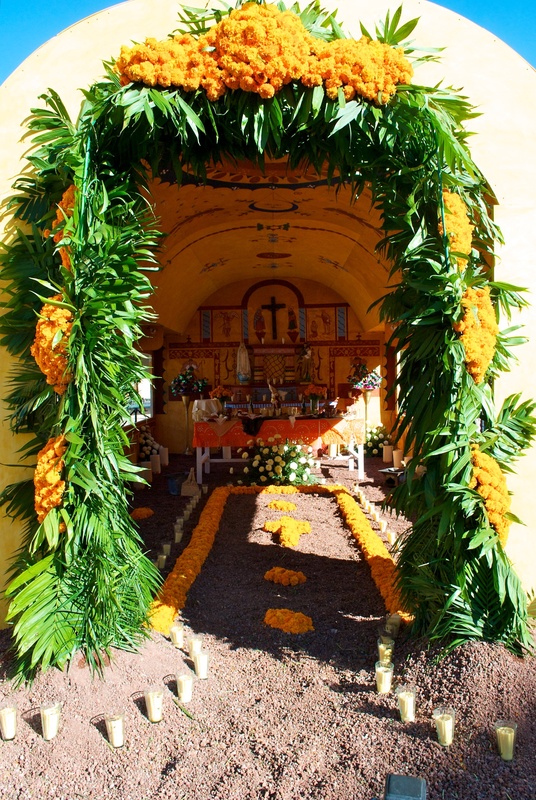 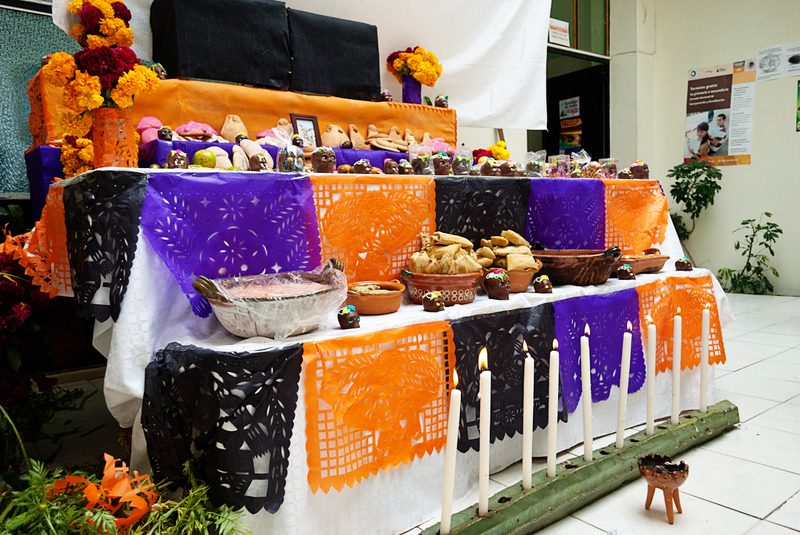 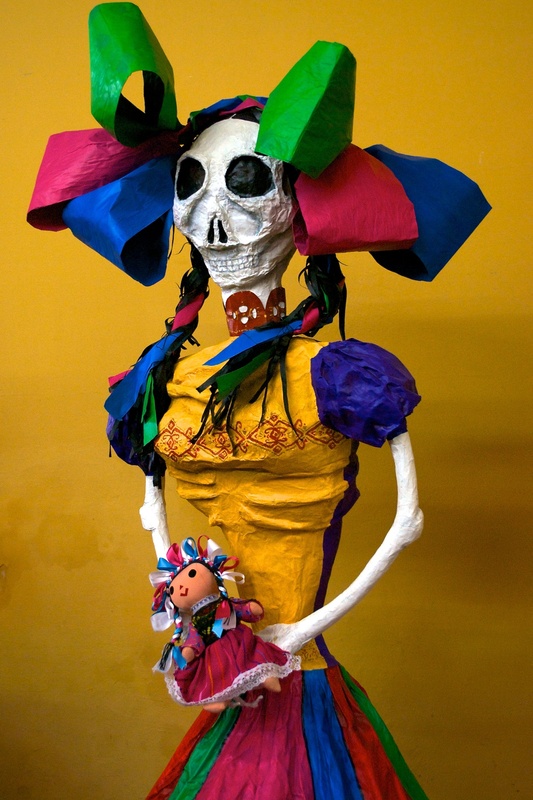 Walk­ing around town this year, I think that the Day of the Dead altars are still beau­ti­ful and well-craft­ed, but they seem small­er or less elab­o­rate. 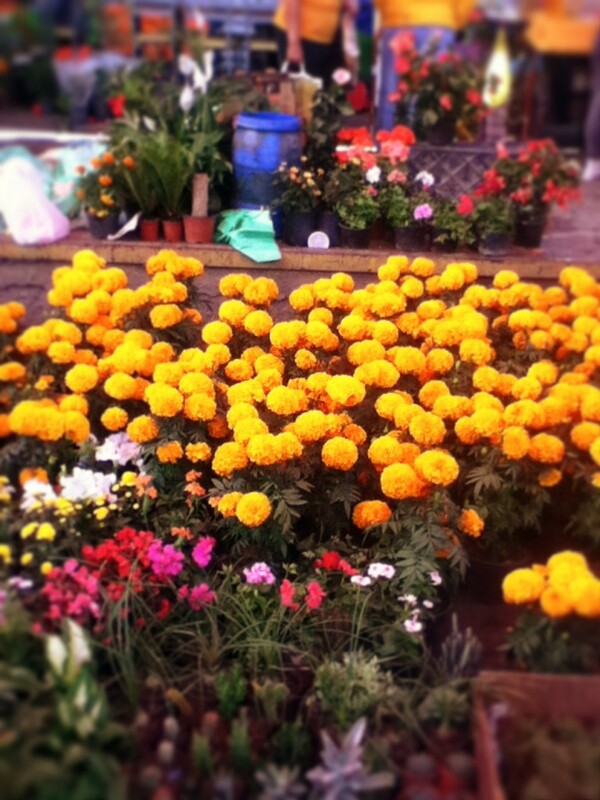 To sep­a­rate this year’s pho­tos from last year’s, I’m more focused on the marigolds. 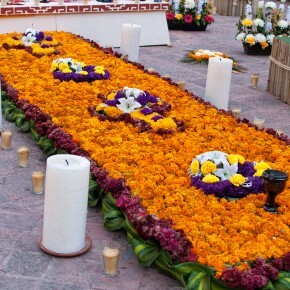 These are the tra­di­tion­al flow­ers use to hon­or the dead and are used on the altars and tak­en to the ceme­ter­ies to dec­o­rate the graves. 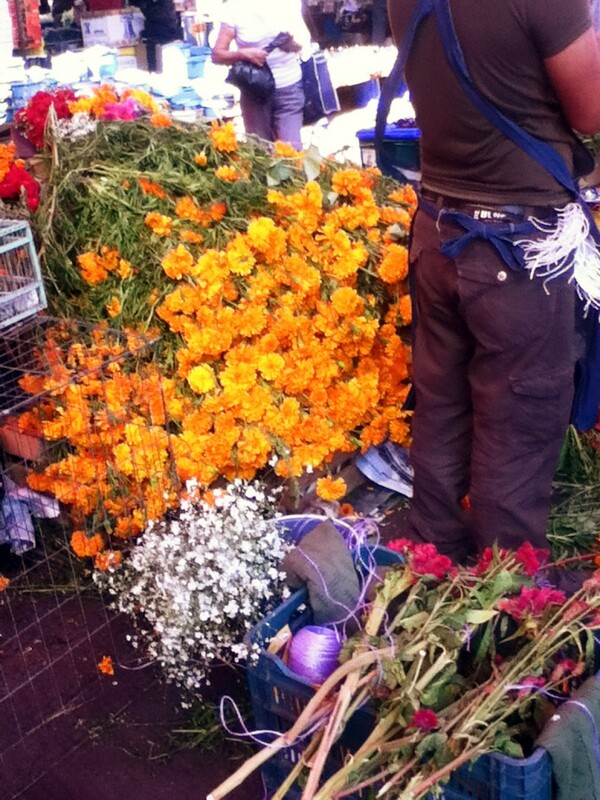 I snapped some more shots from the hip around my local mar­ket of the marigolds for sale. 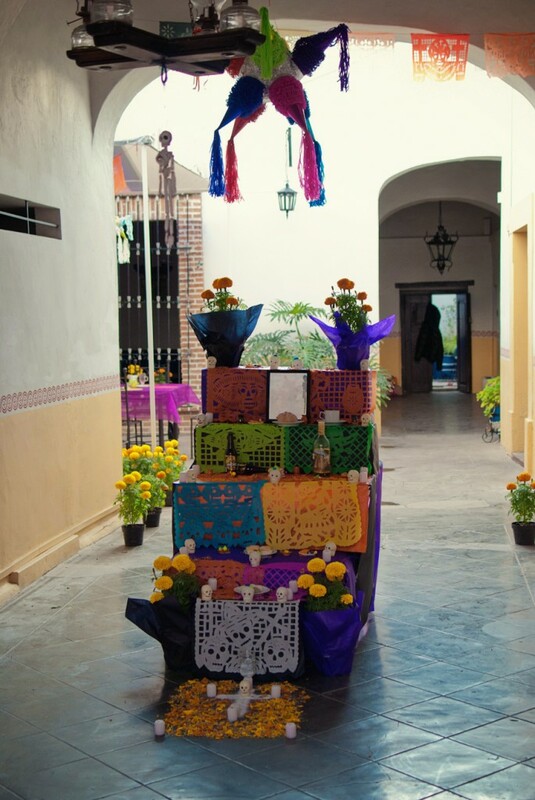 And a selec­tion of oth­er altars from around town and from my vis­it to Hidal­go dur­ing the begin­ning of the week. 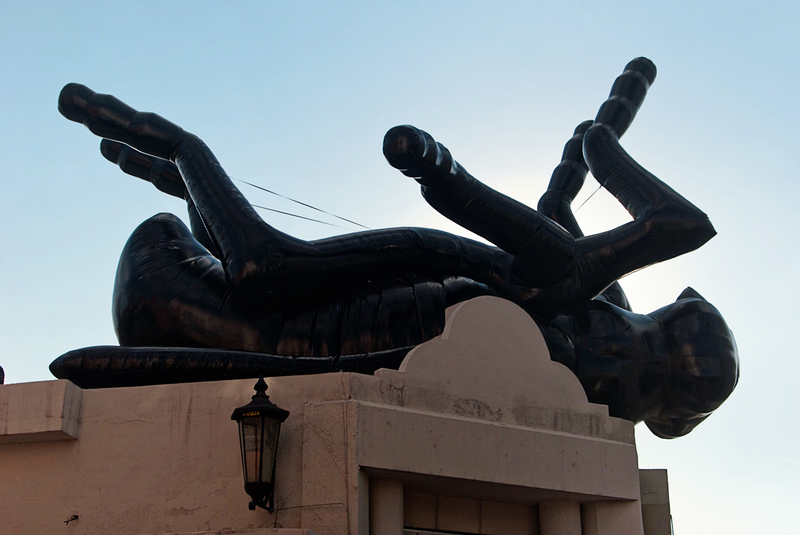 And then there was this in town… a dif­fer­ent type of offer­ing? 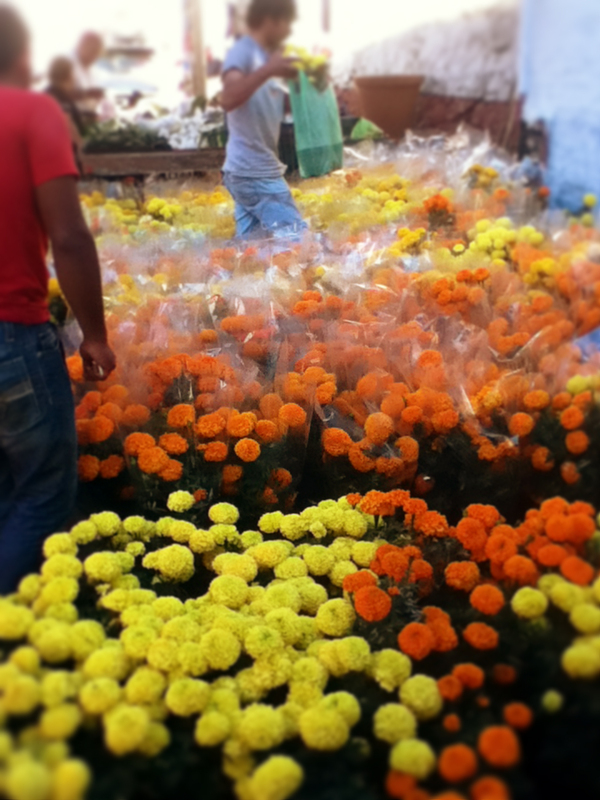 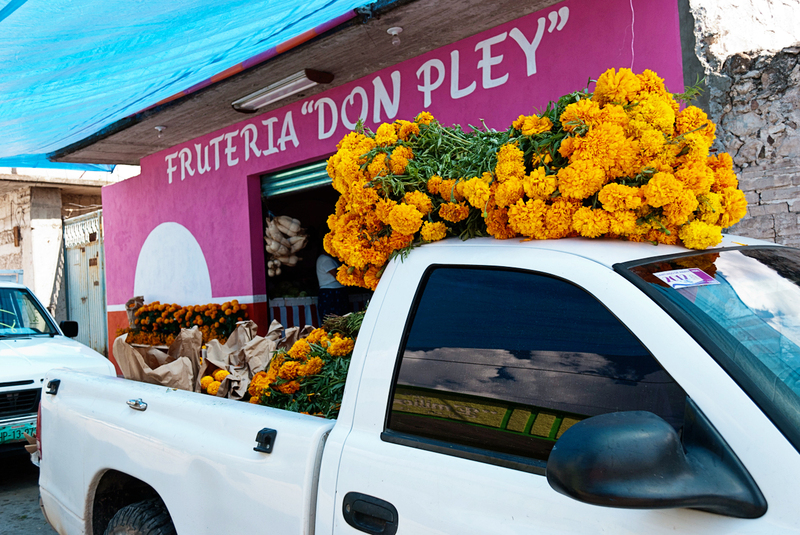 From my vis­it to a small town in Hidal­go, sell­ing marigolds out­side the local fruit shop. 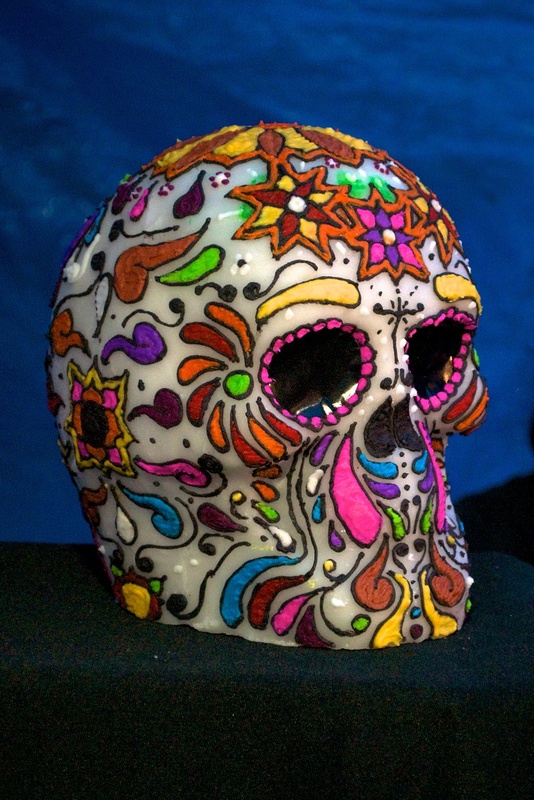 Love the dead wasp (or what­ev­er). 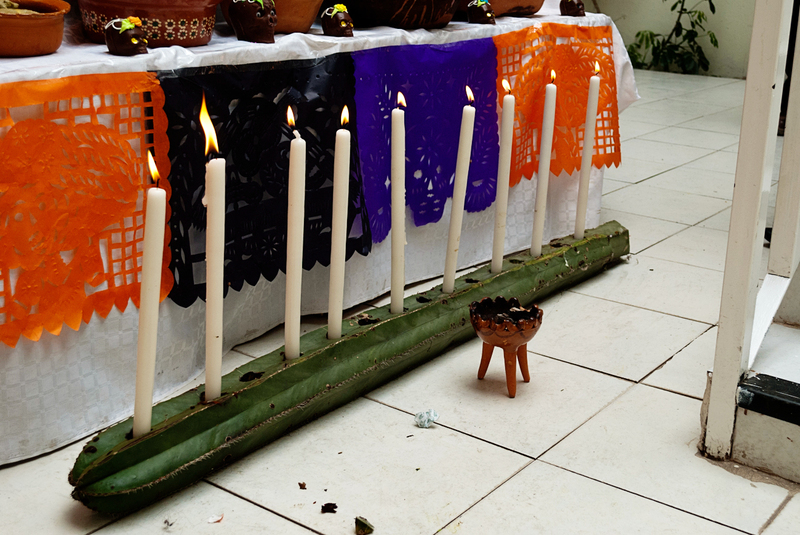 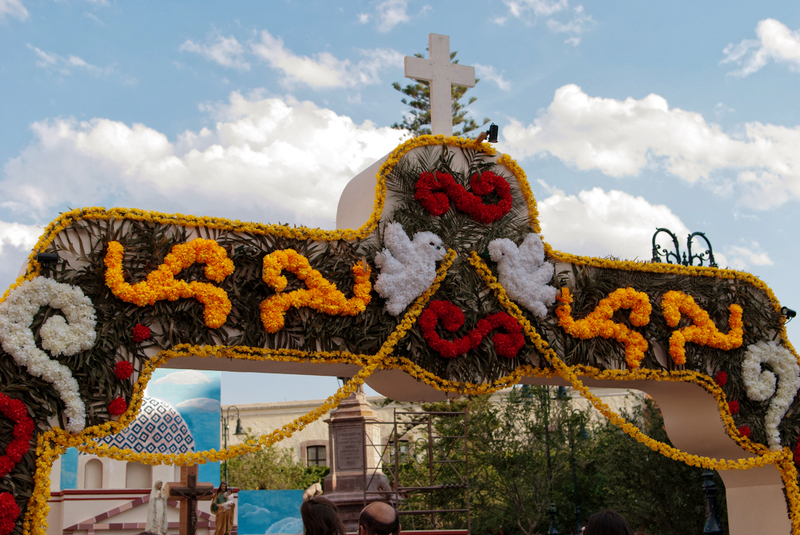 I notice that the “altars” are quite dif­fer­ent from those here in Yucatan (vis­i­ble in my post of Octo­ber 31). 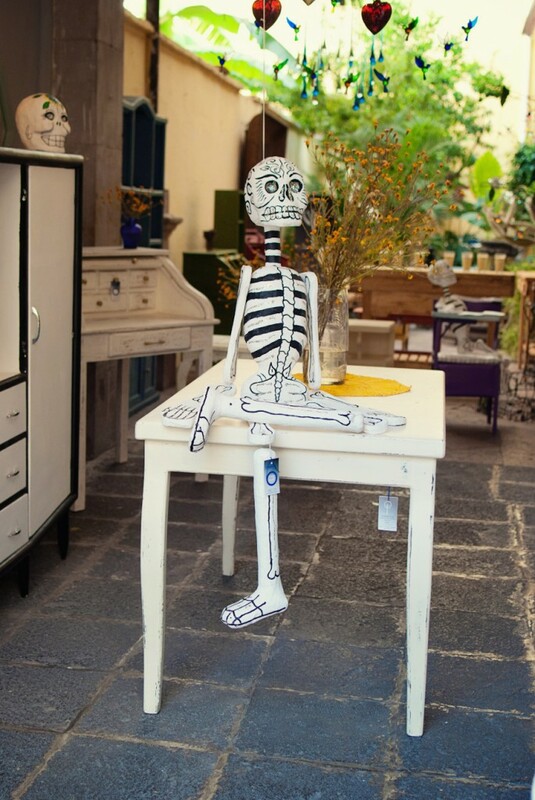 ~eric. 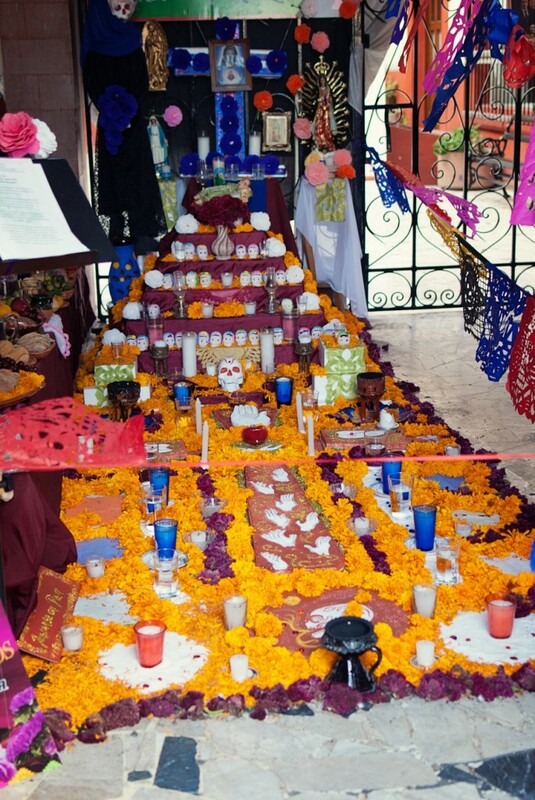 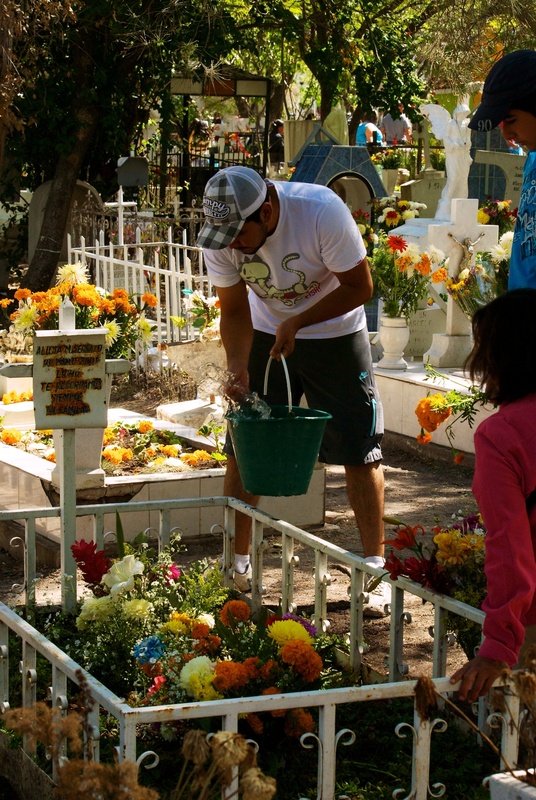 Day of the Dead is my favorite hol­i­day in any cul­ture. 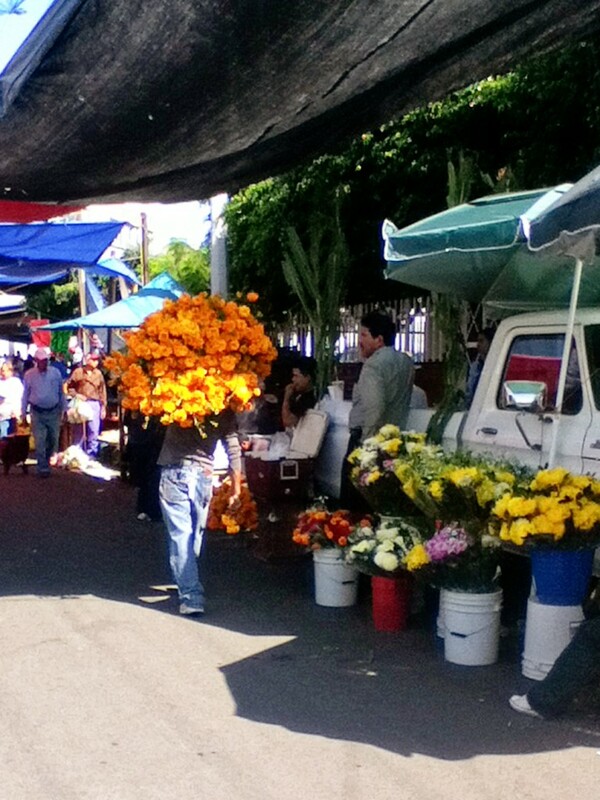 I’ve seen it 3 times in 3 dif­fer­ent cities includ­ing Queré­taro. 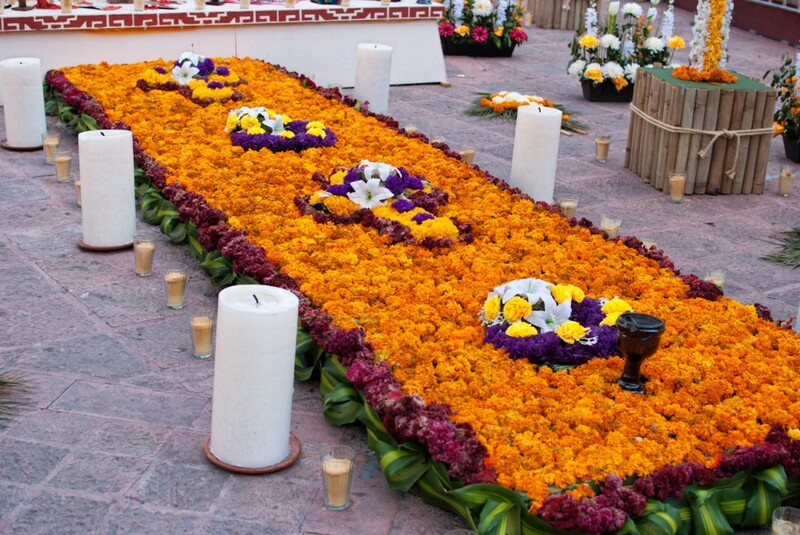 You cap­tured the spir­it (no pun intend­ed) so beau­ti­ful­ly.